BEIJING, Nov. 8, 2018 /PRNewswire/ -- Bitmain, a world leader in blockchain hardware, software, and services, today announced the release of its new next-generation 7nm miners – Antminer S15 and Antminer T15, with 2 variations of each model. The new miners utilize innovative technologies to improve the performance of the new miners' power and power consumption, and computing performance. The Antminer S15 provides long-term energy efficiency through its use of Bitmain's 7nm chip that integrates over 1 billion transistors per unit. This feature significantly improves the computing performances of Antminer. The chip contains a unique circuit structure and low power technology. The Antminer S15 high-performance model can achieve a hash rate of 28 TH/s with a power efficiency of as low as 57 J/TH; its energy saving model can improve power efficiency to 50 J/TH while maintaining a hash rate of 17 TH/s. 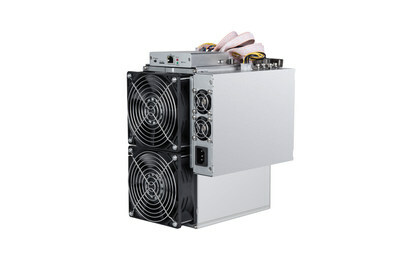 The Antminer T15 high-performance model can achieve a hash rate of 23 TH/s with a power efficiency of as low as 67 J/TH; its energy saving model can improve power efficiency to 60 J/TH while maintaining a hash rate of 20 TH/s. On both models, the heat dissipation efficiency has significantly improved. Adopting the new heat dissipation structure, the parallel fan design is applied to both models to shorten the wind speed and reduce wind resistance. As a result, the reliability of long-term operation of the miner has been upgraded while reducing maintenance costs. For large mining farms, both models are easy to implement as an all-in-one design of miner with PSU and can be set up vertically or horizontally, making it flexibly adapted to different mining farms and miner racks. With the new high conversion power supply APW8, 16-18V high-voltage output, new miners can effectively reduce the power loss during the power conversion process, helping mining farms save on electricity costs. Bitmain, founded in 2013, is a global blockchain and semiconductor company dedicated to the design and manufacture of high-performance hardware, software, and services for the customers and communities it serves worldwide. With industry-defining technologies Bitmain is a leader supporting new financial technologies which enable a decentralized, global network to connect, grow and benefit everyone who participates. The company is headquartered in Beijing with offices, product and research centers globally, including Silicon Valley, Tel Aviv, Amsterdam, Hong Kong, Singapore, and Zug.